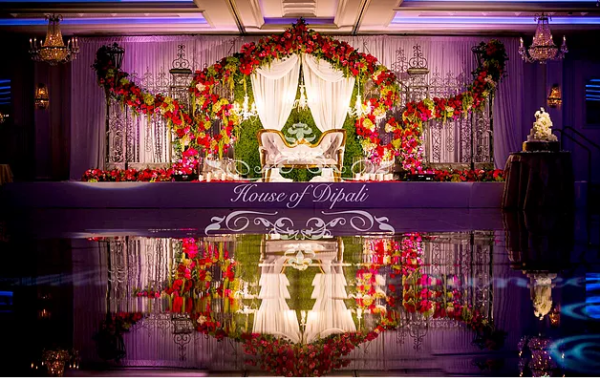 Last week House of Dipali posted a blog about high vs. low floral centerpieces for your wedding reception and we can tell from your responses that flowers are a seriously hot topic for you. This week we wanted to give you a bit more information about wedding flowers. 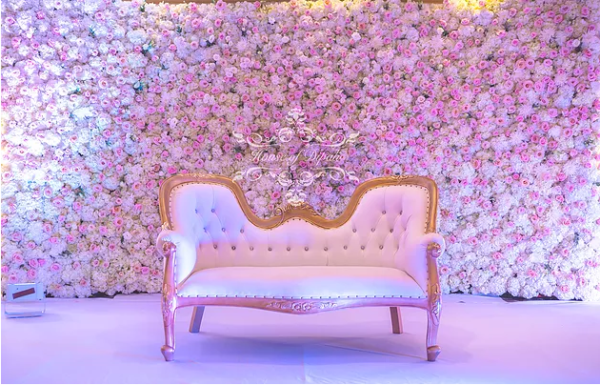 If you are in the middle of choosing a flower theme for your wedding, Flower Walls have major benefits both financial and aesthetic. Celebrities like Kim Kardashian and Kanye West have opted for this décor option and we totally understand why. Budget. 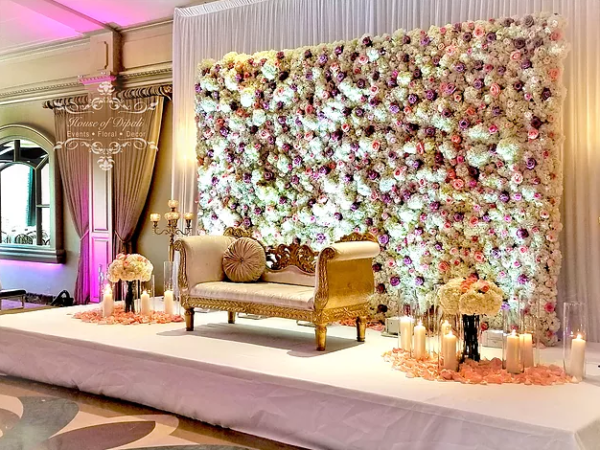 An entire wall of flowers is seriously dramatic but it is also a huge financial benefit as you can spend the majority of your budget on this feature and allow for the remaining tables to have more modest centerpieces to balance the room. 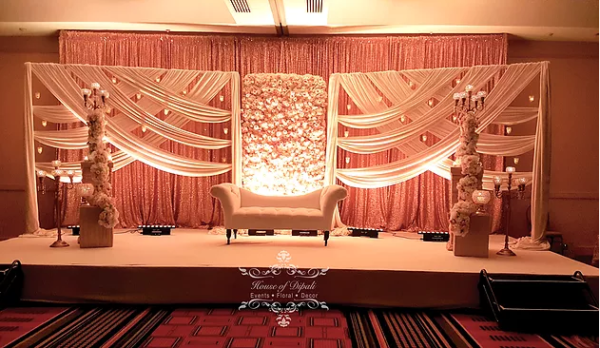 Backdrop for Your Ceremony. 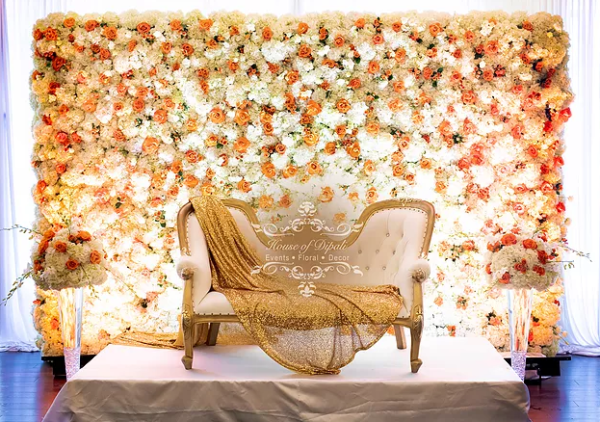 If you aren’t going to be surrounded by beautiful landscapes or tall windows for your wedding ceremony, another way to create something beautiful for your guests to gaze at is a gorgeous, lush flower backdrop. When you are saying your vows, guests will be sure to keep their attention not only on you but also the beautiful floral view behind you. Photo Ops. 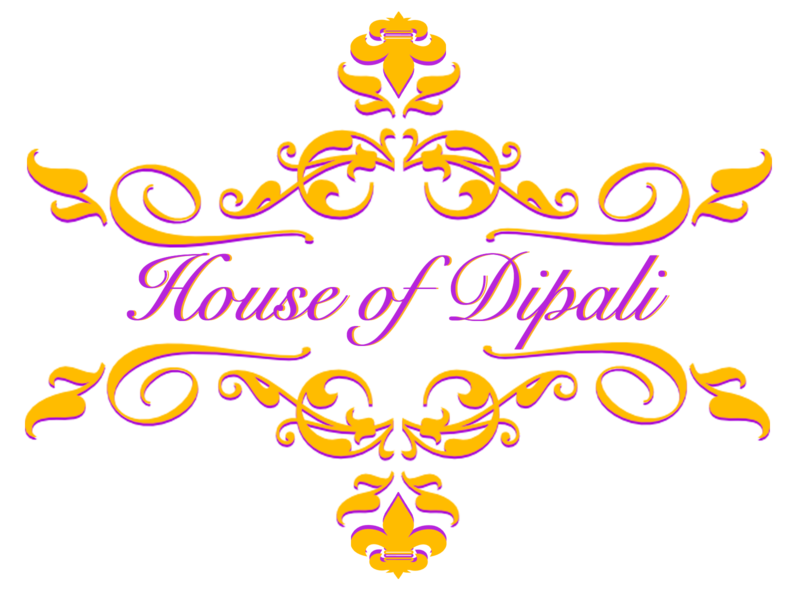 After your ceremony is finished and you are officially bride and groom it is time to party and for your guests to really make memories at your reception. 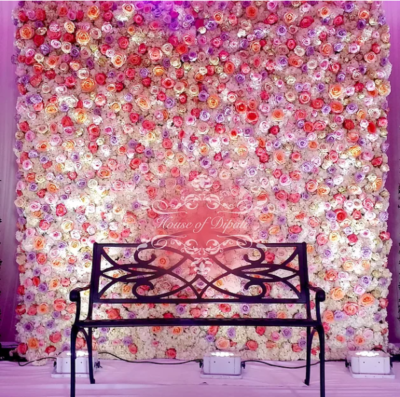 A floral wall is an absolutely lovely, grand, and romantic backdrop option for your friends and family to Instagram the night away, using your specially created wedding hashtag of course! 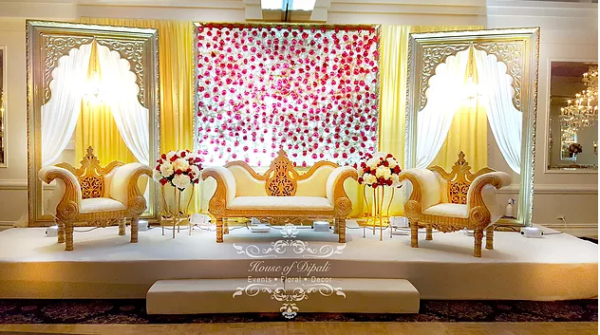 Be sure that before settling on the final look of your overall wedding, consider your budget and the type of reception flowers you prefer (low, high, dense, minimal). 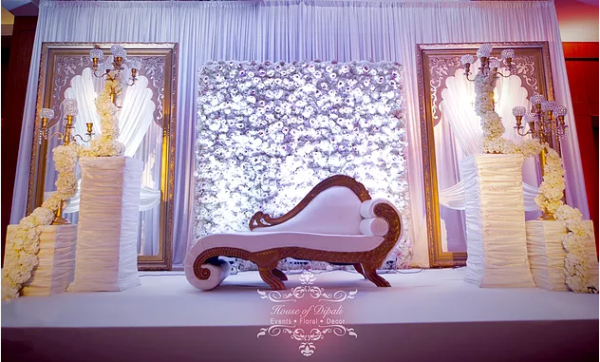 Additionally, floral arches and hanging garlands are also really nice options that lend an ethereal vibe to your ballroom. 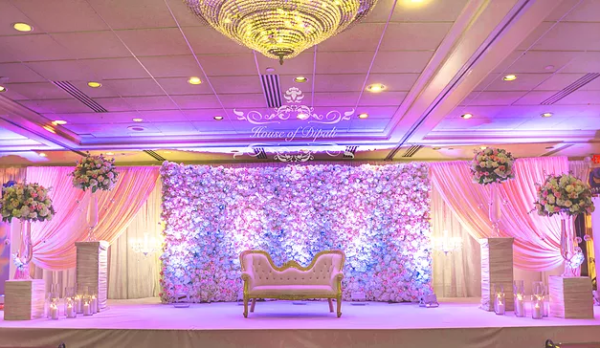 Floral Walls are an impressive feature and backdrop for your ceremony and reception and really tell a story about your wedding.